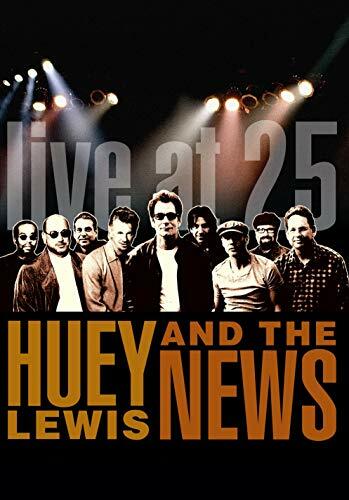 Huey Lewis & The News (Live At 25) - BUY THIS DVD!Huey Lewis & the News celebrate two and a half decades of great rockin' with the release of Live at 25. Filmed in December 2004 at two highly anticipated shows at the Sierra Nevada Brewing Company in Chico, CA, the DVD features chart-topping hits and fan faves like "The Heart of Rock & Roll," "Power Of Love," and "If This Is It." Live at 25 captures Huey Lewis and the News at the peak of their club-rocking powers, delivering 19 songs that span the gropu's hugely successful career. THEN SEND IN YOUR NAME AND ADDRESS TO contests@efilmcritic.com. Put "HUEY LEWIS IS THE HEART OF ROCK 'N' ROLL!" in the subject line and cross your fingers. We will draw names and one of the DVDs will be yours. Only 1 entry per household.